Much wetland loss has resulted from actions by individuals, both consciously and through secondary outcomes. These actions occur daily on small properties as the result of personal decisions by people about how they will use their land to make a living, or for recreational or other uses. Some decisions may include draining wetland complexes, but they may also include smaller acts in rural, urban and recreational settings that can have damaging effects. Activities such as clearing vegetation to enhance a view, farming buffer zones with large machinery, carelessly maintaining vehicles near waterways, applying fertilizers and pesticides around wetlands, disposing toxic waste in drain systems, or discarding chemical containers, garbage and landfill in low lying areas are all potentially dangerous to wetland protection. Such behaviours may not be motivated by economic considerations so much as by a lack of ecological literacy ­ inappropriate understanding of environmental consequences and alternative choices. Companies, resort holdings, municipalities, developers and some farms operating on larger land blocks make similar decisions with greater environmental consequences. These groups too are made up of individual decision makers whose decisions and actions affecting the environment occur within the context of policies, laws and regulations enacted to protect society. The majority of these people are unlikely to be fully ecologically literate. We're developing books that promote wetlands awareness, including these for children, in print and online versions. People are both the problem and the solution relative to wetland conservation; human actions result in negative, neutral or positive consequences for wetlands. Wetlands-focussed learning should develop the knowledge, experiences and skills needed to evaluate environmental issues, and make informed decisions, value choices and actions. Ecological literacy as the capacity to perceive and interpret the relative health of environmental systems and take appropriate actions to maintain, restore or improve the health of those systems. Louis Aggassiz in the 1800s practised his dictum of "read nature not books"; i.e. experience nature first hand. Early environmental learning should centre on developing empathy for the natural world, slightly older children on exploration, and for those in early adolescence and beyond, on social action. For action to be a logical outcome, learners must develop a bond or an emotional attachment so that they will have a predisposition and motivation for action. Such bonding is strongest when developed in preschool and elementary years. Ecological literacy often begins close to home, encouraging learners to understand and forge connections with their immediate surroundings. Wetlands are numerous and can be found close to most places of learning, making them interesting and excellent sites for environmental learning. In older youth, emphasis needs to be on action projects requiring the application of skills, knowledge and understanding to go beyond simple information acquisition and recitation. The premise is that if students are trained in action skills relative to the environment they care about, they will learn how to apply these skills in their daily lives and retain them as they grow older. Children involved in interesting, hands-on programs bring their learning home and share their experiences with their families; leading to a broader community impact. Many resources and programs exist to further an ecological learning agenda. 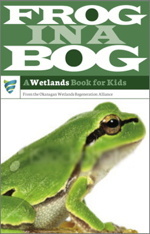 Information and ideas about wetlands are made available to classes and the public through Wetkit (www.wetkit.net). Such events as Wildlife Week and Earth Day have been successful catalysts for public involvement. However, World Wetlands Day falls in February and has drawn little attention. The International Year of Fresh Water is one model to capture the attention of Okanaganites around a variety of wetland themes under the banner Wonder of Water. A network of interpretive facilities across Canada provide wetland education programs but these are generally not coordinated. Youth groups like Scouts, Guides, 4-H, Junior Forest Wardens and others have programs in environmental action but enrollment is declining. Scouts Canada's Jumpstart Program for Cubs on the environment has a number of activities focusing on wetlands. These programs need to have greater emphasis on wetland conservation. 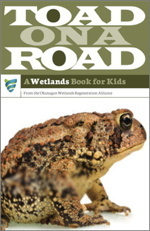 There are numerous guidebooks, resources and programs focusing on wetlands and water: Wetland Keepers, Project Wet, Bog Ho, Digital Field Trip to the Wetlands, Wonder of Wetlands, Ducks Unlimited Canada's Wetland Ecosystem series, Read Aloud Wetlands, Digital Frog, Envirothon, Ecoscope, Living By Water, Adopt-A-Class, Marshmallow, Make Way for Wildlife, Adopt-A-Pond, Aquakit, Wade Into Wetlands, The Yellow Fish Road, Water Watchdog, Greenwing and many more. A number of these have action-oriented components with mentoring, while others are investigative. Some of these materials are available only in hard copy, some are free through websites and others can only be acquired after going through training and accreditation. Only some of these show curriculum linkages to facilitate use by teachers. Several agency and government websites provide valuable background information on wetlands as well as links to other sites with resources. Creating a wetlands learning centre in the Okanagan should not be viewed as something out of the realm of possibility. Partnerships are commonplace in public education today providing the extra dollars needed to enhance school programs, and the elements of environmental stewardship, education and youth that this approach combines are likely to be very well received in both the private and public sectors in the Okanagan. Also, any expertise required beyond what the centre itself can provide is present in most communities and a project like this often creates the spark that brings it into the schoolhouse. The keys to getting started and maintaining the momentum are strong leadership and a solid commitment to do so. Experiential learning should take place outdoors and often. However, there are lots of quality "hands-on" activities that can be adapted to lab and classroom setting. Empower learners to take on authentic tasks and do something with what they are learning. With minimum equipment, establish or plug into national/international monitoring programs that involve students in collecting, recording and analyzing data on a wide variety of wetland parameters. Teachers cannot do it all. Bring in the experts to teach special skills, provide insight into controversial issues, supply essential equipment and model future careers. n Mentoring of students and having the learners do peer teaching are powerful ways to learn. When a group of learners get out in their wetland, what happens is magic. Wetlands are inclusive. There is something for everyone in wetlands. Enrichment should be available to learners of all ability groups, interests and ages.